Breakfast & Lunch Available in Cannon Beach & Newport. Breakfast, Lunch & Dinner Available in Lincoln City, Astoria and Seaside. See our Breakfast and Lunch Menu, Dinner Menu for Astoria, Seaside and Lincoln City, and our Kid's Menu. Our Mighty Columbia River... Experience walking the docks, watching the seals, visiting many historical sites including the famous Astor Column or the world-class Maritime Museum, or shopping in downtown Astoria. 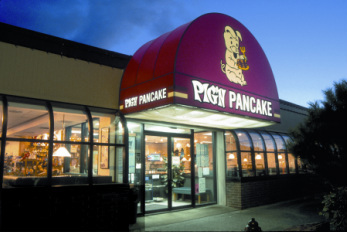 Established in 1967, the Pig ‘N Pancake offers 35 varieties of breakfast (including homemade pancakes), we also offer a complete lunch and dinner menu that is unbeatable, specializing in delicious soups, chowder, steaks, seafood, pasta dishes and incredible desserts. Enjoy family dining at it's best. Banquet facilities and catering also available. Come let us serve you! Serenity at the beach... Experience long walks on the Oregon's finest beaches, visit the famous Haystack Rock, browse the many unique shops and galleries, and enjoy casual family dining at the Pig ‘N Pancake restaurant. 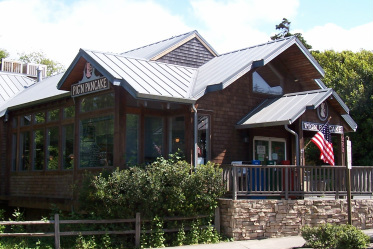 Located in a beautiful wooded setting overlooking downtown Cannon Beach, we are open for breakfast and lunch, offering 35 varieties of breakfast (including homemade pancakes) served anytime. Or try our delicious soups, chowder, halibut fish & chips, and much more. Banquet/catering services available. The building is also available for private parties after hours. We're waiting to serve you! Fun at the beach for everyone! 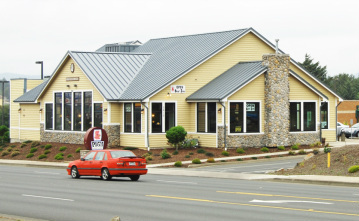 Enjoy family dining at it's best at the Pig ‘N Pancake, located in Lincoln City's bustling North End just blocks from the Casino. 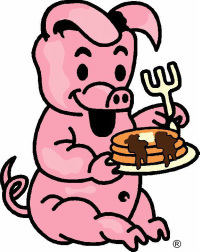 Pig ‘N Pancake offers 35 varieties of breakfast (including Homemade Pancakes) served anytime! Or try our delicious Soups, Chowder, Sandwiches and Lunch Specialties. Banquet facilities also available. We're waiting to serve you! Why leave Pig ‘N Pancake at the beach? 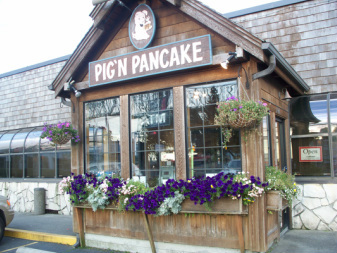 You can enjoy Pig ‘N Pancake’s famous homemade pancakes and delicious chowder and soups in the city too! Enjoy family dining at it’s best. Come let us serve you!